﻿ Lucky Palace Hotel, Bangkok | FROM $26 - SAVE ON AGODA! Have a question for Lucky Palace Hotel? For travelers who want to take in the sights and sounds of Bangkok, Lucky Palace Hotel is the perfect choice. From here, guests can enjoy easy access to all that the lively city has to offer. No less exceptional is the hotel's easy access to the city's myriad attractions and landmarks, such as Boss Sukhumvit Tailor, Gulati Bespoke Tailoring, Nana Square. Lucky Palace Hotel offers impeccable service and all the essential amenities to invigorate travelers. To name a few of the hotel's facilities, there are 24-hour room service, 24-hour front desk, luggage storage, Wi-Fi in public areas, room service. All guest accommodations feature thoughtful amenities to ensure an unparalleled sense of comfort. Besides, the hotel's host of recreational offerings ensures you have plenty to do during your stay. 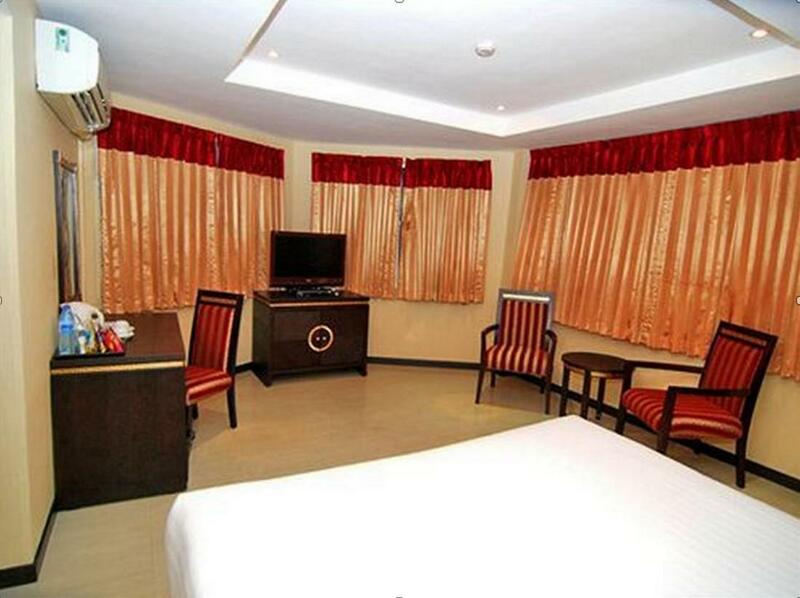 With an ideal location and facilities to match, Lucky Palace Hotel hits the spot in many ways. Says reduced from $154 to $17 for daily special. I thought original price was exaggerated but this is a $15 hotel at best. The only reason staff get 2stars is because the cleaning Lady is lovely. My wife and step daughter stayed for 1 night they said the staff were very helpful but rooms were not very clean bad smells coming from hotel dustbins and other quests very load. Had black mold in the bathroom, bugs crawling on me in while sleeping, heard weird noises in middle of the night , staff don't speak any English at all, had the worst bed in my life, got lost for about an hour trying to find the place, the ac blower made a ton of noise, overall worst experience ever at a hotel. Never again in my life. Noisy rat infested , renovations being done during night ,avoid at all cost . The hotel was very old, the walls between the rooms were made of gypsum board (so no privacy at all) and also the area was very noisy (both outside and the hotel residence! ), old furniture. The hotel is located near the Bumrungrad International Hospital (which was our main destination) very active area (nearly people were not sleeping at all!) good number of restaurants and also mini markets, pharmacy, money exchange, banks, NANA train station and night market. I stayed in the hotel because of the Hospital which we had an inpatient there and we need to visit him on daily basis. Gebuchtes Zimmer war wegen angeblichen techn. Gebrechen nicht zur Verfügung - Umbuchung in anderes Hotel (Grand Lucky Hotel ) - Zimmergröße nicht wie gebucht, Lage nicht wie gebucht - Laut,obwohl Buchung mit Bitte um ruhiges Zimmer - Verbindungstür zu einem Nachbarzimmer, zwar versperrt, aber sämtliche Geräusche aus Nachbarzimmer zu hören - unüblicherweises Depot THB 1.000,- für eventuelle Beschädigungen in bar vorweg zu erstatten.